Not to be confused with Belmont, which was part of the continuous road between Park Street and Brunswick Street, Belmont Street was built between 1886 and 1901 in a field to the south of Mill Lane called Mill Close. By the time of the 1901 Ordnance Survey Belmont Street had been constructed as a cul-de-sac off Addlewell Lane and running adjacent to and parallel with Mill Lane. At this time, and indeed in 1912, housing was only constructed along the north side of the road. 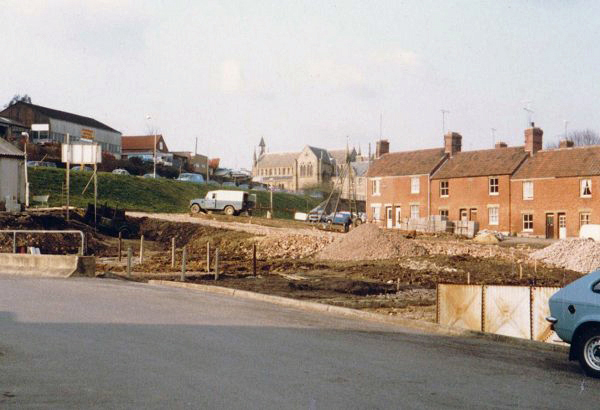 The area was demolished, as seen below, for the development of Central Acre and the extension of Summerhouse Terrace to join what was left of Park Street in 1987. 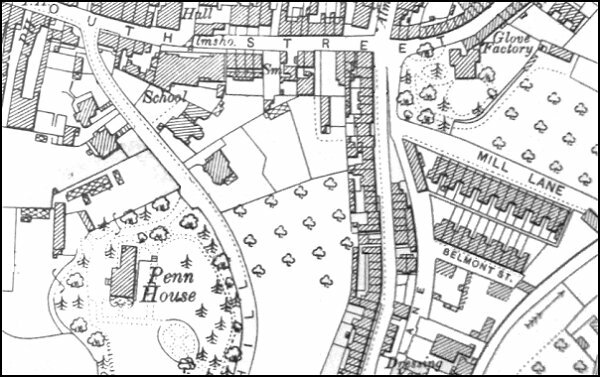 The 1901 Ordnance Survey showing Belmont Street towards bottom right. 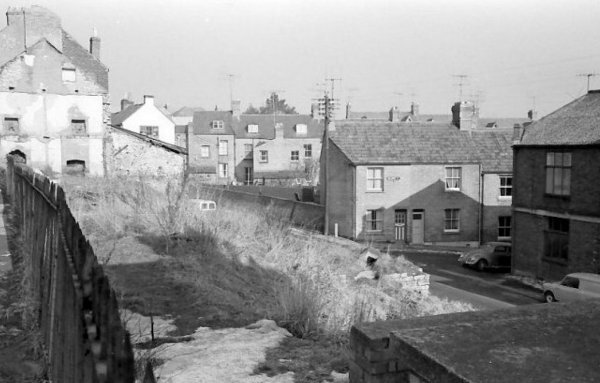 A photograph taken from Park Street in the mid-1960's looking down to Addlewell Lane (with the pale mini van at bottom right) and Belmont Street (with the Volkswagen Beetle) running off it. The site of WJ & EG Ricketts & Co glove factory cleared, ready for the Central Acre development. 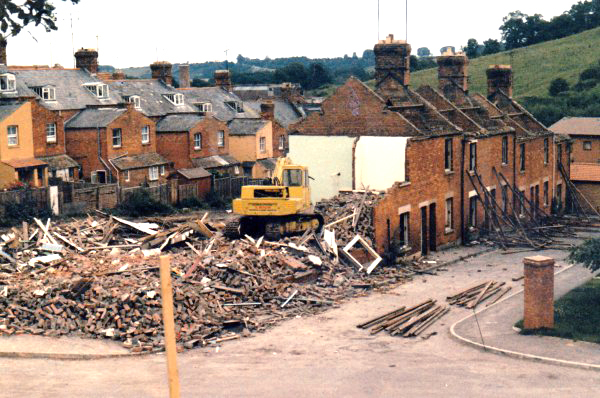 The south-western side of Belmont Street has been demolished. 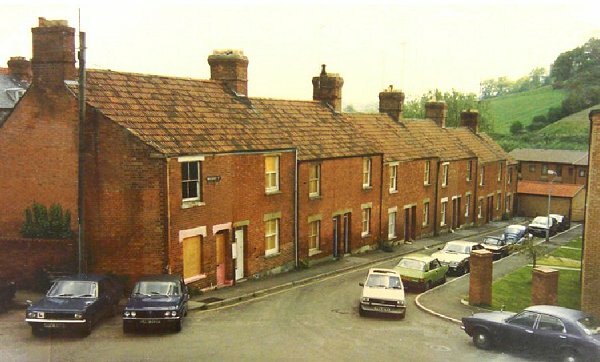 Photographed in 1983 looking north with Park Street at high level left, the rear of Holy Trinity church at centre and the houses of Belmont Street at right. 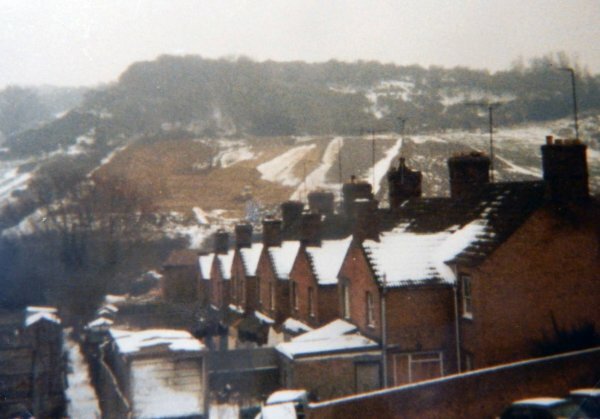 The rear of Belmont Street seen from Park Street during the winter of 1986. 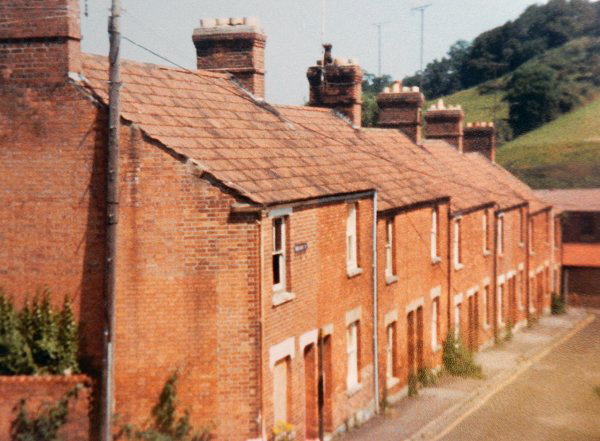 Belmont Street, photographed in 1987. 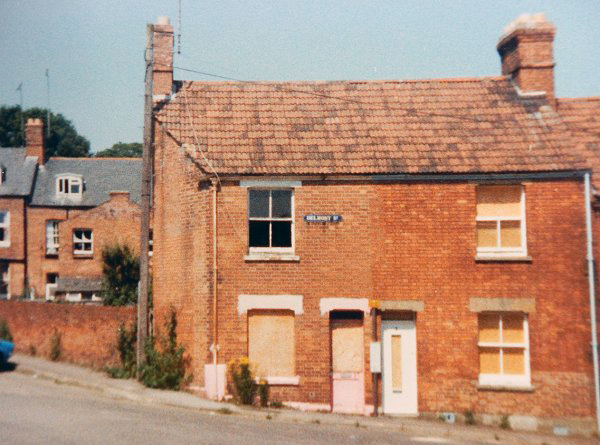 The first two houses in Belmont Street, empty and boarded up, photographed in 1987. 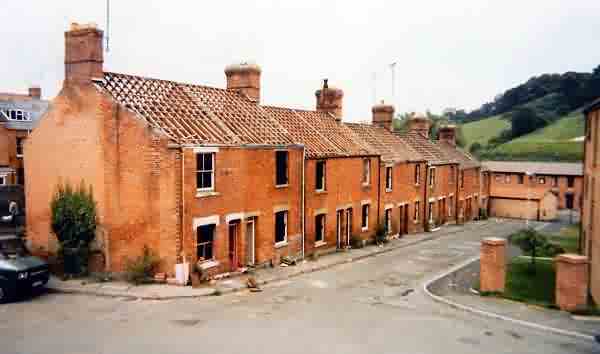 A photograph dating to 1987 showing Belmont Street houses mainly empty and awaiting demolition. At right is just seen newly-constructed Central Acre. Courtesy of Rob Baker. 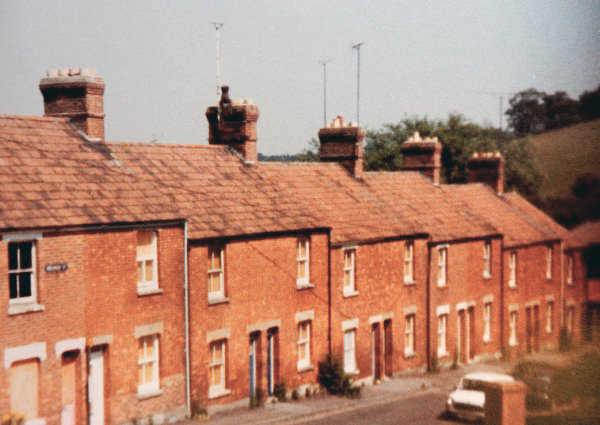 This photograph features in my book "Now That's What I Call Yeovil"
Taken very shortly after the previous photograph, the roof tiles have now been stripped and the window frames removed for recycling. Photographed in 1987. The demolition of Belmont Street begins in earnest. Photographed in 1987. .... and there was nothing subtle about it. Photographed in 1987. 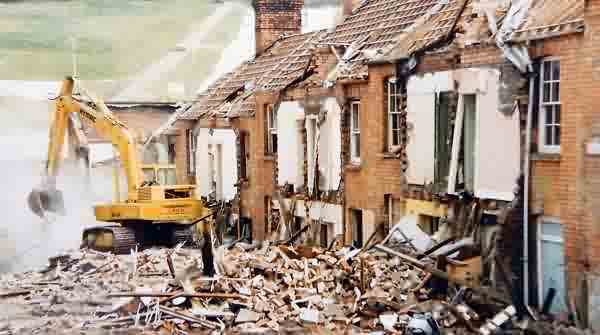 The final demolition of Belmont Street. 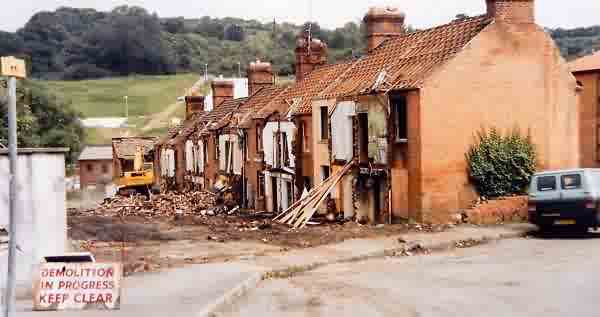 At far left, the backs of houses in Mill Lane remain to this day. Photographed in 1987. 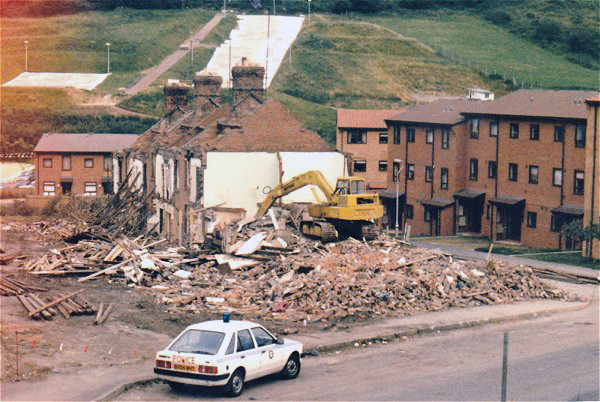 The final demolition of Belmont Street, seen from a slightly different angle but clearly showing Central Acre at right. Note also the ski slope in the background. Photographed in 1987.